EVERY NOW AND THEN a dive related book comes along that defies expectations. 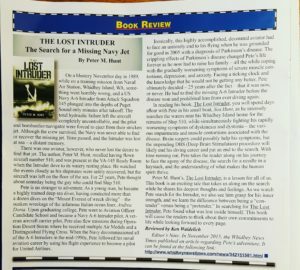 The Lost Intruder succeeds on many unexpected levels and, although ostensibly it is concerned with the process of tracking down an elusive wreck, it’s unlike any book of this genre that I’ve come across before. 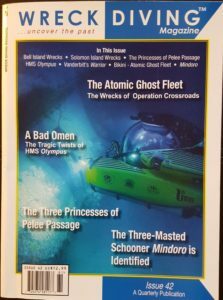 deep wreck Andrea Doria off the eastern seaboard no fewer than 13 times (he has written about those experiences previously in a book called Setting the Hook). 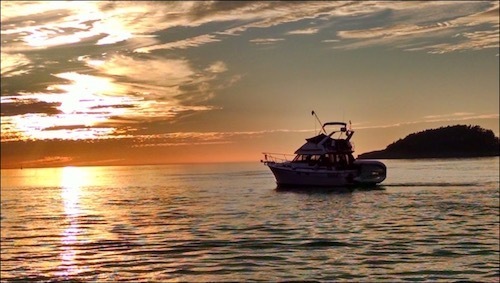 In 1985 Hunt joined the US Navy and trained as a Grumman A-6 Intruder pilot, flying the twin-jet attack plane from aircraft-carriers in the Persian Gulf, Indian Ocean and western Pacific over a 10-year stint of active duty. He was working as a commercial airline pilot when in 2005 at the age of 43 – and here’s the factor that makes this book so different – he was diagnosed with Parkinson’s Disease. 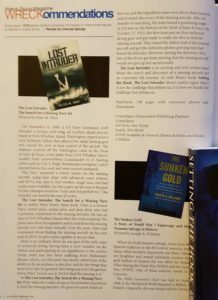 The Lost Intruder is about the obsessive quest of Hunt and his loyal friends to find an A-6 that crashed at sea not far from where he lived and ran his boat, on the north Pacific coast in Washington state. It hadn’t been his plane, official searches had failed in the aftermath of the crash, and there was a school of thought that even the US Navy had reason not to try too hard to find it. The odds seemed stacked against Hunt on every side, but the search seemed to give a solid centre to his universe as his illness grew progressively worse. And as brain surgery to get the condition under control loomed, with all the implications that had for him continuing to dive, it became a race against time. “The cause of Parkinson’s Disease is unknown,” writes Hunt early on. 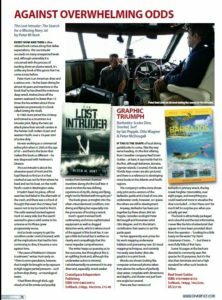 The book gives us insights into the often-misunderstood condition, into diving and flying but especially into the processes of locating a wreck. Hunt’s quest involved both rudimentary and more sophisticated equipment as well as dogged detective work, which is where much of the appeal of this book lies. It can get a little technical but is written so clearly and compellingly that this never impedes comprehension. The writer keeps us guessing as to the outcome, but throughout this is an uplifting book and, although the underwater action is minimal, I wholeheartedly recommend it to any diver and, especially, wreck-seeker. DIVER is Britain’s no.1 diving magazine, outselling its competitors put together.